My blog needs some sprucing up so you will be seeing many changes soon. 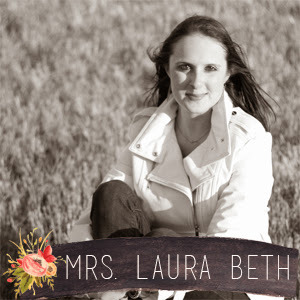 I have decided to change the name of my blog to Mrs. Laura Beth; this is the name I go by for all my other social media so thought my blog should follow. Right now the blog address is www.rotenbergerfam.blogspot.com and that is going to change as well to www.mrslaurabeth.blogspot.com I am not sure how this will affect my previous blog posts and people who are following this blog by email. If you would like to continue to follow the blog after I change the name just send me an email ( lbrotenberger@gmail.com ) and I will be sure you are added again. This looks SO cute Laura!!! I love the update...you will definitely have to tell me how/what you used to make the change!! I am needing something fresh/cute like this!